• Transfers to and from Denpasar Airport. • Daily training/coaching from both Rhiannon & Sarah. • 24 hour access to the resort facilities; including a swimming pool, infrared sauna, opening training space, kitchen & access to Wi-Fi. • A Bali Handstand Retreat training shirt. *Check in will be 2pm on the 7th of July, Check out will be 12pm on the 12th of July. We have booked the entire resort for the week. This means there are a number of rooms available, with prices dependent upon room features. We will do our best to get you your room of preference, however room allocations will be given on a ‘first in best dressed’ system. *The prices below are all inclusive (see inclusions above). *Prices do NOT include flights. * EARLY BIRD OFFERS END ON MAY 1ST 2019. This is the most extravagant room at the Ark. It includes a spacious bedroom with a queen sized bed, living area, private bathroom, large balcony and handmade bathtub under the stars. Shared cost (2 people) $3000 ($1500 each). Shared cost (2 people) $3200 ($1600 each). If you want to share with someone special (or just enjoy the leg room of a big bed) this room is perfect for you. It is an apartment style private bedroom which contains a queen sized bed with an outside seating area or balcony. If you are looking to share with a friend, these rooms are perfect for you. They contain 2 single beds and have access to the living room, and to the common kitchen and dining area. If you are coming solo, you'll love this room. It is a shared air-conditioned room that sleeps 4. 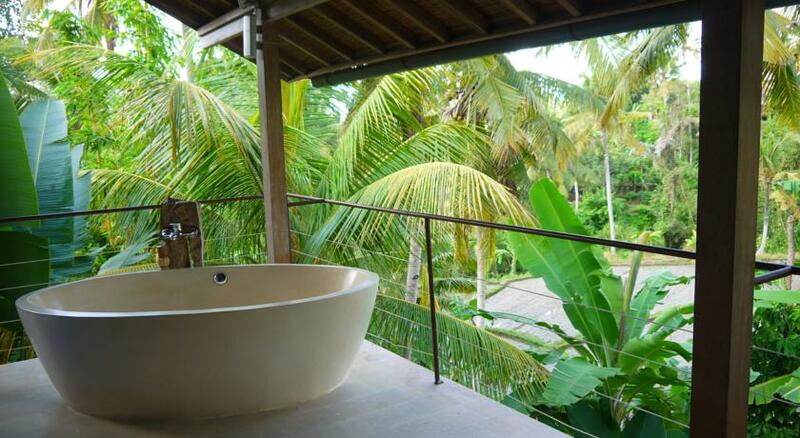 It is equipped with a kitchen and private bathroom. 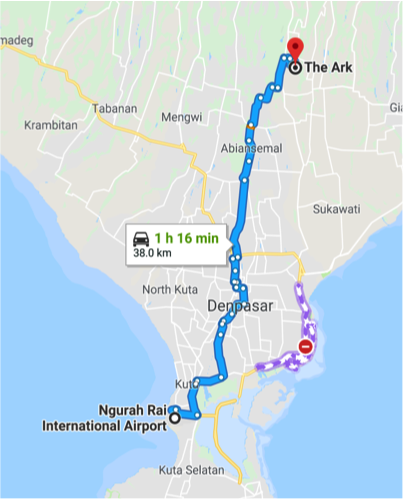 The Ark is around a 1 hour car ride from the Ngurah Rai International Airport (Denpasar Airport). Your transfers to and from the airport are included in the cost of our packages. 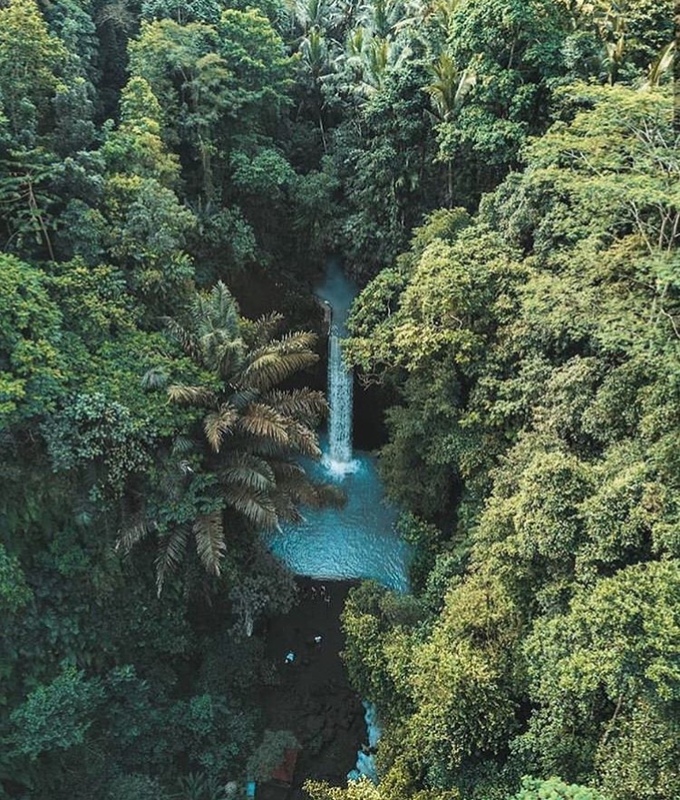 The Ark is located in a less touristy part of Ubud, which is around a 30 minute walk from the main shopping strip, however there are a number of other resorts and eateries close by. FROM THE ARK TO THE MAIN PART OF UBUD. The Retreat is located in a quieter part of Ubud around a 30 minute walk from the main tourist area.The lighter (yellow) area shown on this map is the main part of Ubud. Acai Queen is one of our trainers favourite places & a good (delicious) landmark for the main part of Ubud! Be sure to book your flights to and from Ngurah Rai International Airport. *We will arrange a car to pick you up and bring you to The Ark. no refunds available, however we are happy to offer transfers. If you would like to reserve your place now, please click here to complete our reservation form. Payment can be made by PayPal (however this will incur a + 5% booking fee) or via direct debit into our account (no additional fees for direct debit). The details of the direct debit account will be provided to you once you have completed the application form. *Additional items are available for purchase on-site which may include: Surf lessons & board rental, food & drinks from the cafe, local tours, scooter rental & private lessons. Please make sure to purchase personal travel insurance as Bali Handstand Retreats takes no responsibility for any injuries that may occur on the artist residency premises. We will however provide safe training ground and have a protocol in case of emergency. We encourage you to bring your own yoga mat (if you have one) and any additional props for your experience at the retreat. If you have handstand blocks or travel canes or foam rollers we would love if you could bring them along & share them with the other participants. The equipment that we do have on site will be yours to enjoy throughout your stay. We ask that you treat it with the respect you would treat your own.